On Wednesday 16th May we launched the play all about Kate and I’s life. 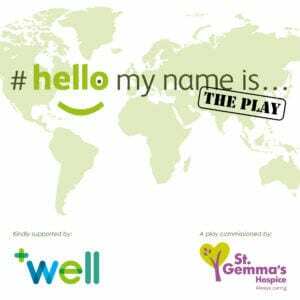 This was performed at St Gemmas Hospice in Leeds who commissioned the award winning playwright Brian Daniels to write the play all about our journey, before, during and after Kate’s cancer diagnosis. The play tells the story of personal heartbreak, resolve and determination to make the world of healthcare a better place. You will laugh, you will cry but most importantly you will never forget that it’s the little things that make a difference.